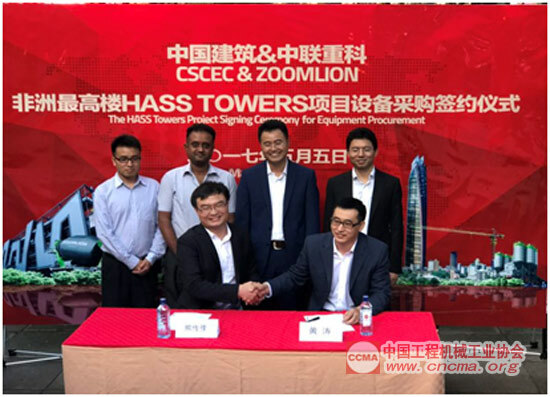 Days ago, Zoomlion South Africa Branch Company and China State Construction Engineering Corporation (CSCEC) held a grand signing ceremony for equipment procurement in Nairobi, capital of Kenya. Zoomlion will provide eight units (sets) of products for HASS TOWERS Project, the highest building in Africa to be built by CSCEC, including tower crane, stationary pump, batching plant and transit mixer, etc., thus satisfying the procurement demands for all construction hoisting machineries and concrete machineries required for the construction of the first phase of the project. 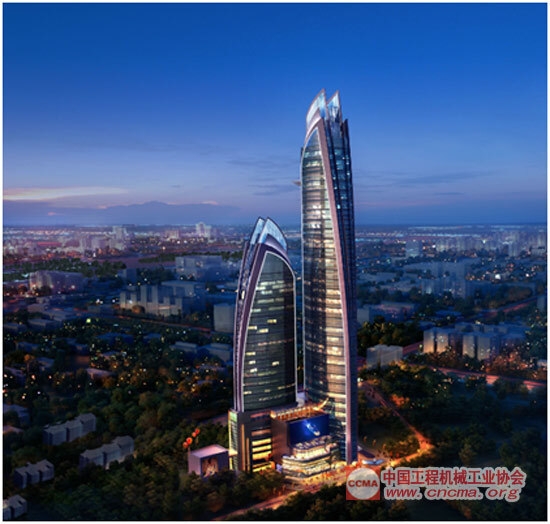 Located in the Uphill area in the central business district of Nairobi, Kenya, HASS TOWERS Project to be jointly built by CSCEC and Zhejiang Chengjian Construction Group Co., Ltd. with a construction period of about five years includes two high-rise buildings, one of which will be the highest building in Africa upon completion with a height of 300m. According to the principal of the client, there are two major reasons that Zoomlion stands out from many other engineering machinery enterprises: on one hand, Zoomlion can offer professional technical solutions for high-rise building projects and their equipment can run stably and reliably; on the other hand, Zoomlion boasts complete local after-sales service system, which can offer sound service support for their equipment. Kenya is not only a key country for the “Belt and Road” strategic cooperation between China and Africa, but also one of the pilot model countries in China-Africa Capacity Cooperation. With new breakthroughs being constantly made by the pragmatic cooperation between China and Kenya, China’s investment in Kenya and the bilateral trades between the two countries have maintained fast growth momentum during recent years. 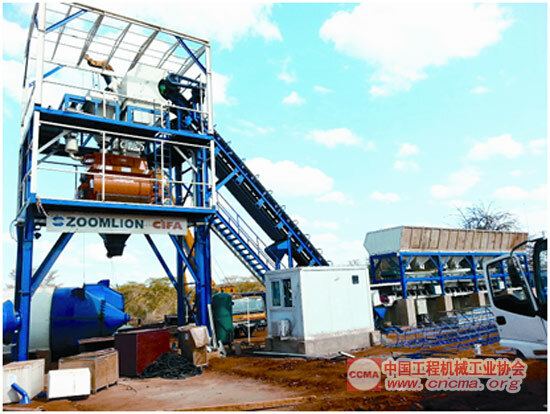 HASS TOWERS Building Project is actually not the first project for Zoomlion to form ties with Kenya, for early in 2014, Zoomlion concrete batching plant once helped build Mombasa-Nairobi Railway in Kenya, which, known as “Century Railway” among the Kenyan people, is the first railway ever since Kenya’s independence. Zoomlion has set up a good image of Chinese brand in Kenya by the stable, efficient and reliable product performance as well as the professional, warm and considerate service team, thus being highly rated by Kenya’s Minister of Communications. At present, Zoomlion’s 49m truck-mounted concrete pump with new coating is participating in the Outer Ring Road Project under construction in Nairobi, Kenya. The Project was started in January, 2015, and Kenyan President Uhuru Kenyatta attended the Opening Ceremony and placed great expectations on the Project. This HASS TOWERS Building Project will be another precious jewel of China-Kenya and China-Africa cooperation. By report, Zoomlion has also signed with Zhejiang Chengjian Construction Group Co., Ltd. to be strategic partners and Zhejiang Chengjian will preferentially purchase Zoomlion equipment during the second phase of the Project. In addition, good news that new orders are constantly being received keep on coming from many Kenyan dealers of Zoomlion. After years of expanding the African market, Zoomlion has established sound channel network, improved product competition strategies, enhanced service and parts support system and increasingly perfected its market distribution. In terms of tower cranes, Zoomlion is the Chinese brand that enjoys the largest market share in the South African market. 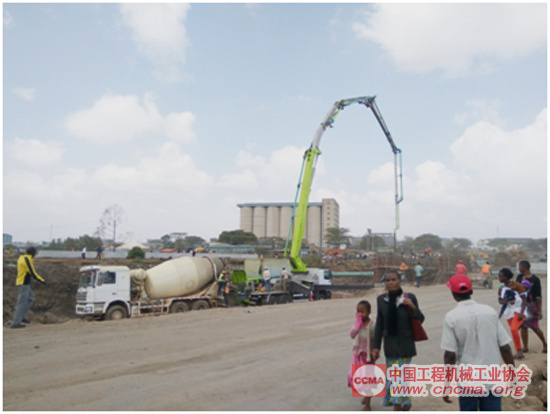 Concrete machineries and tower cranes have participated in the construction of a number of major projects like Kenya’s new airport, UAP Building, Two Rivers and the Headquarters Building of Commercial Bank of Ethiopia. Moreover, over 200 units of earth moving machineries possessed by Kenya’s Ministry of Road have been constantly helping build the local urban and rural infrastructures. All in all, Zoomlion will go on offering strong support for Africa’s urbanization process and rapid economic development.